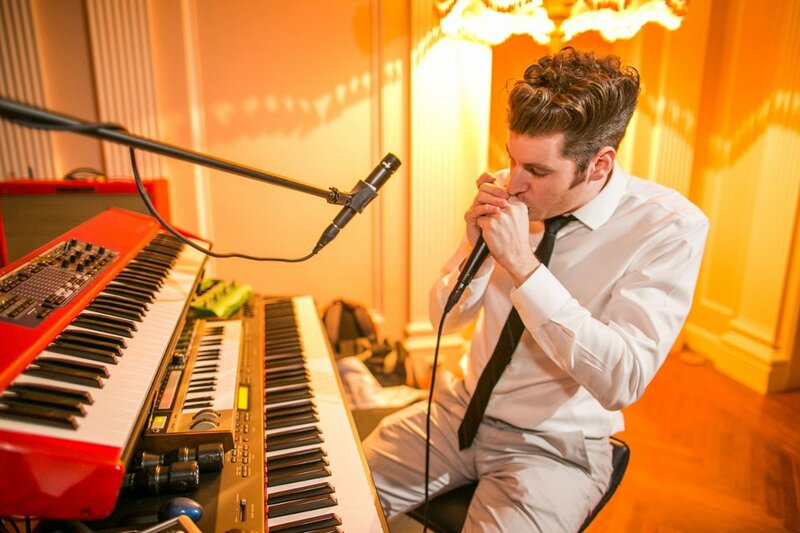 Andy Wesby toured for years as the keyboardist and harmonica player for the funk-pop group, Parker House and Theory. Now the frontman and songwriter for Echo Kings, Andy has landed his songs on The CW, ESPN, mtvU, and Fox. He proudly shares the stage at every wedding he plays with his closest friends in the world, the members of Young Love and The Thrills. And although he currently has no pets, he does fight to keep six house-plants alive.